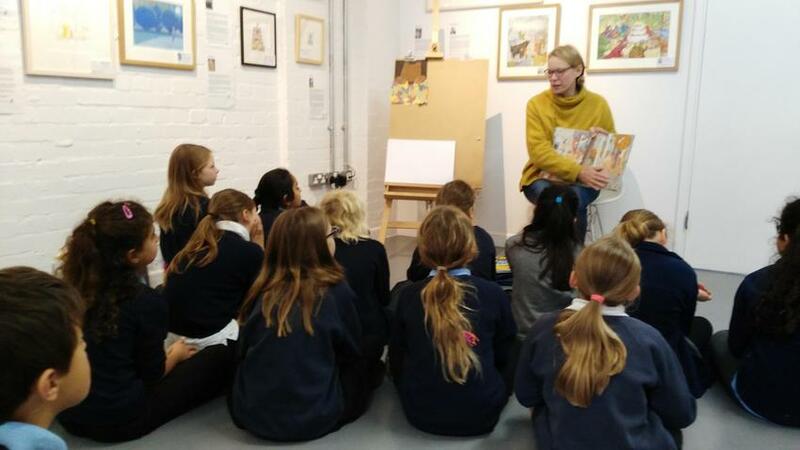 Following the successful Illustration Workshop attended by a group of Year 4 children earlier this week, it was the turn of 15 children from Acacia class today, who visited Gallery 22 to meet author and illustrator Katharine McEwan. 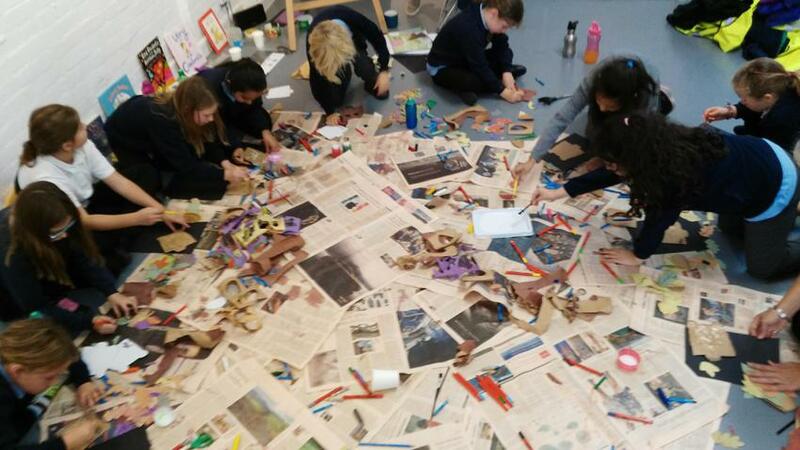 Katharine held an art workshop focusing on collage, and the children responded with great enthusiasm and commitment to produce some fabulous pieces of work in a short time frame. Katharine clearly enjoyed herself, posting this message on Twitter: "Ace morning making 'Bear Hug' inspired collages with a great bunch of kids". Here are just a couple of pictures to reflect a great morning.